This Chicken Caesar Salad recipe is one of my most requested by my family, and guests! 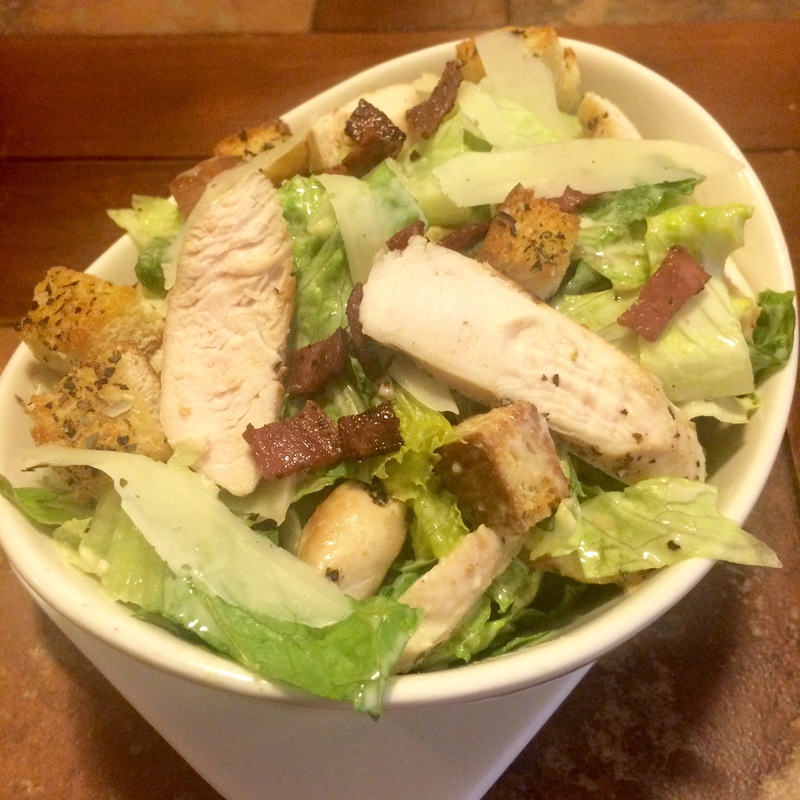 The classic combination of fresh, crisp romaine with parmesan cheese, crunchy croutons and creamy caesar dressing makes a great side dish to any meal, add in some perfectly cooked chicken, and crispy bacon and you can turn a simple salad into an easy week night dinner that everyone will LOVE! 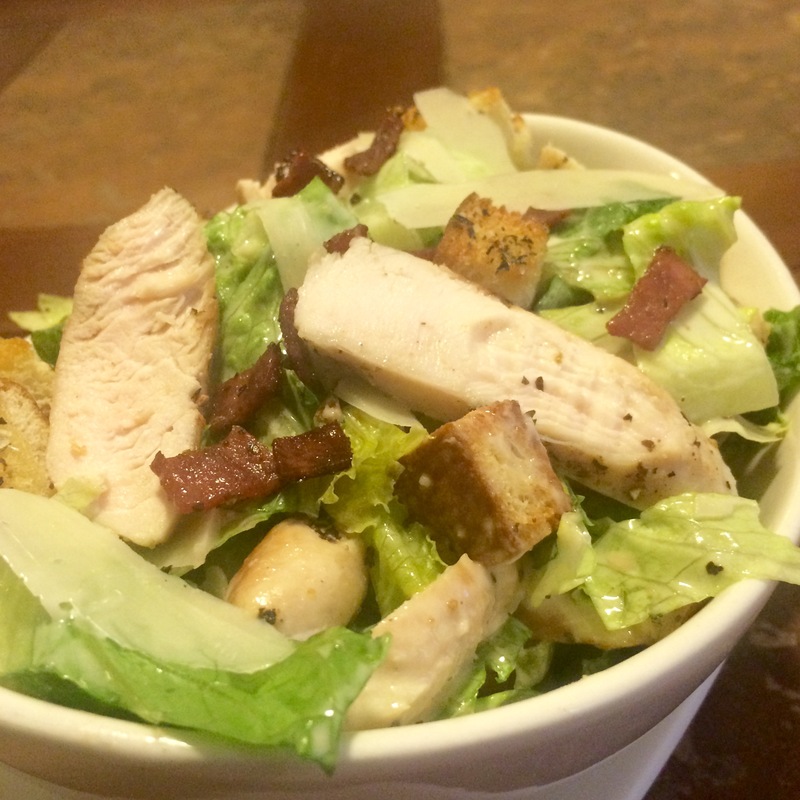 Looking for a lunch solution? Make this simple salad, and wrap it up in a fresh, flour tortilla for a quick and easy chicken caesar wrap. The homemade croutons in this recipe really make this recipe a step above the rest. 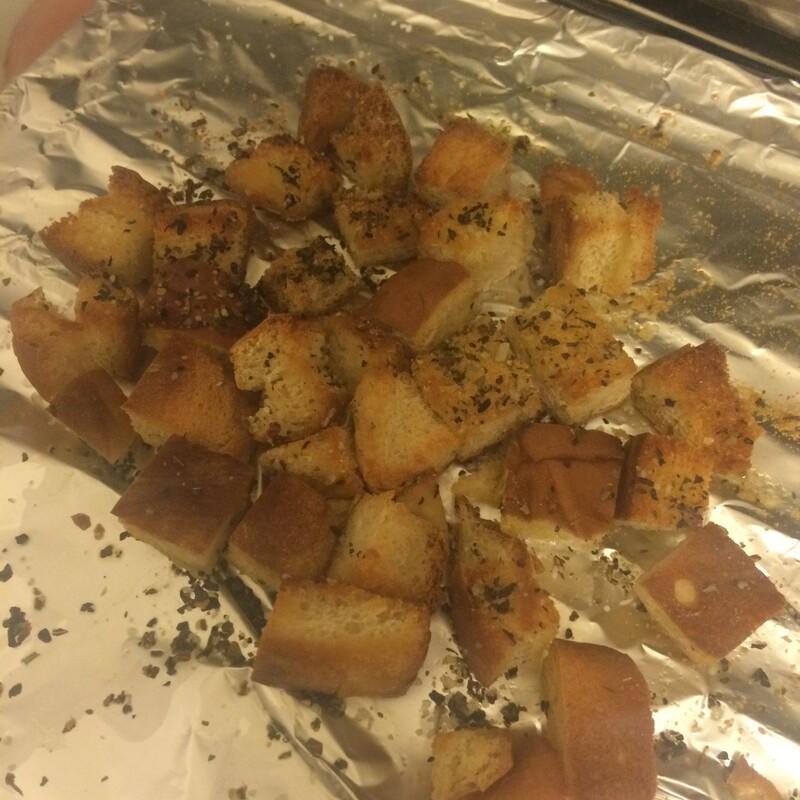 Between the garlicy aroma that fills your kitchen, and just how simple it is to make homemade croutons, you’ll be surprised if you ever buy the pre-packaged kind again! 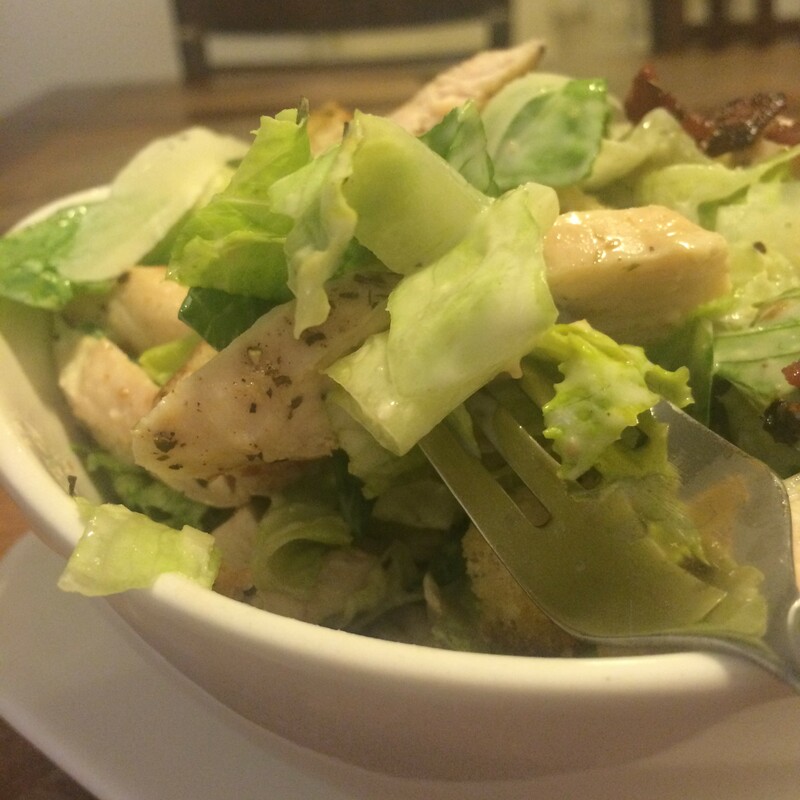 Start making your salad by prepping your chicken, and getting it cooking – this takes the longest. In a medium non stick skillet, over medium-high heat, add 1 tbsp olive until shimmering. Add chicken, and season. Cook on one side for 4-5 minutes, or until the chicken is browned, and moves easily from the pan. Flip, and add bacon. (We used turkey bacon in this recipe, but I promise you that pork bacon – the real deal is the way to go, and would suggest using pork bacon 10000 times over!). 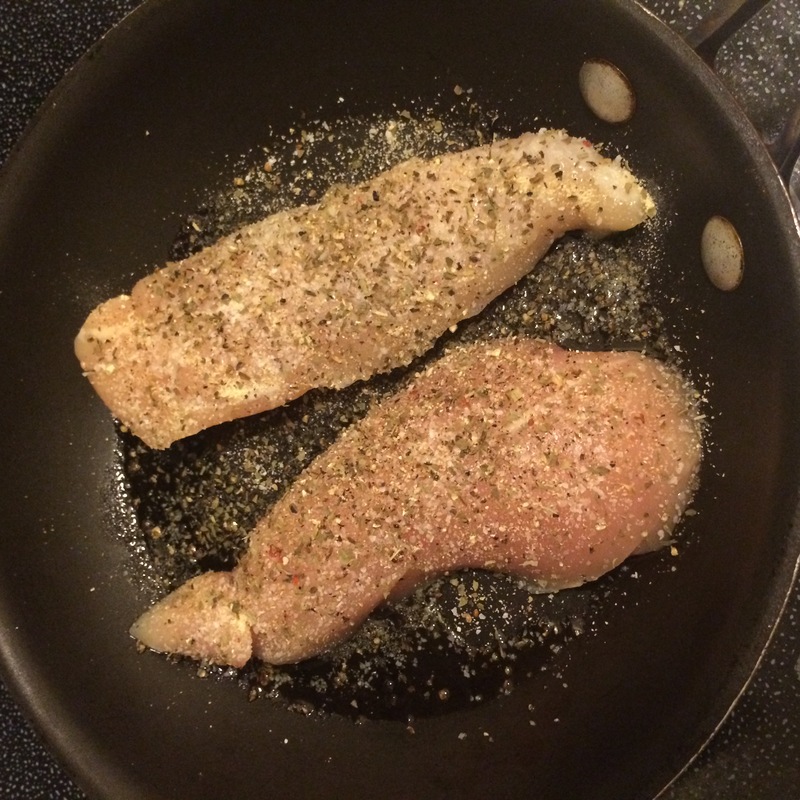 Keep stirring bacon around in pan with chicken tenders until crispy, and the chicken is fully cooked – about 5-10 more minutes, depending on how thick your chicken is. 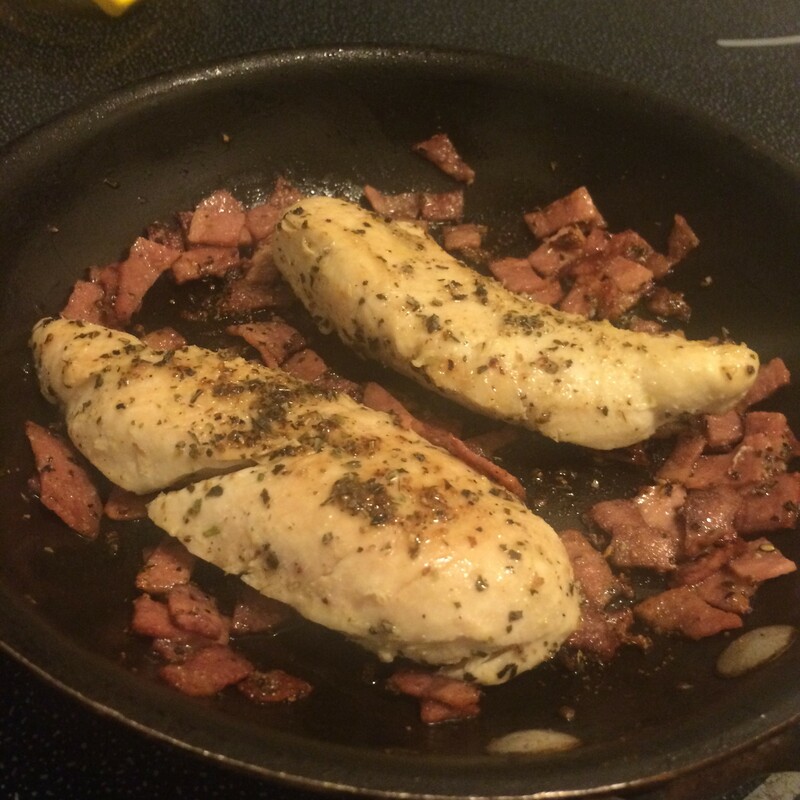 Once chicken and bacon are cooked. Turn off heat, and allow chicken to cool for 5 minutes before slicing. Meanwhile, start prepping for your homemade croutons. 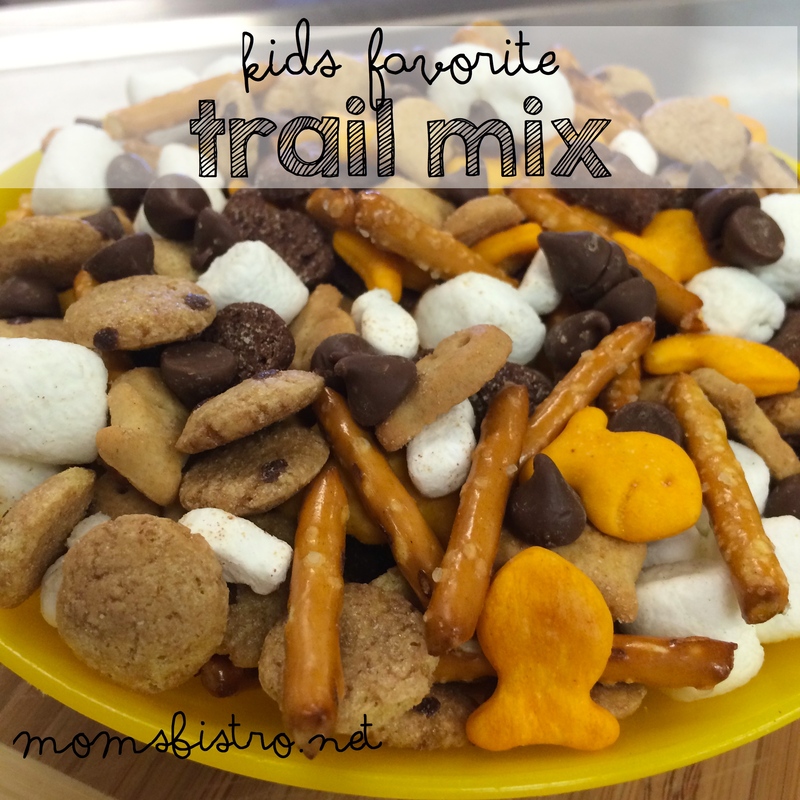 Preheat oven to 400 degrees – or if you have one, use your toaster oven! Cube hamburger bun, or bread into small, bite size pieces and toss with olive oil and spices. Lay in a single layer on a foil or parchment lined baking sheet, and toast. 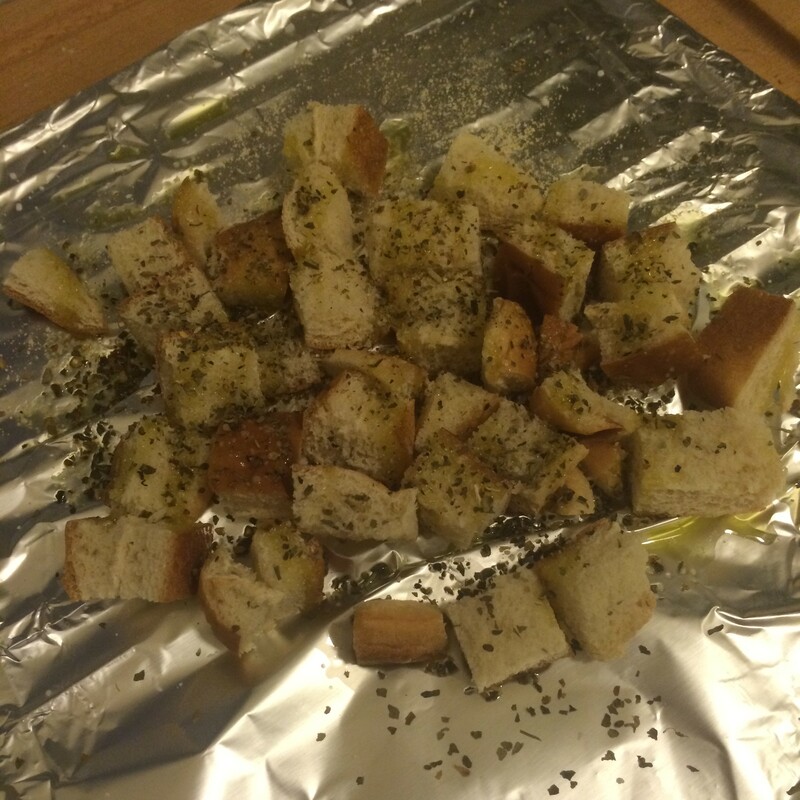 Cook for 5-10 minutes, depending on your oven and how crispy you like your croutons. Remove from oven and set aside to cool. To prepare your salad, remove the core from the bottom of the head of lettuce. Cut long, vertical strips (think like a hot dog, not a hamburger), and then cut horizontally to make small, easy to eat strips of romaine lettuce. 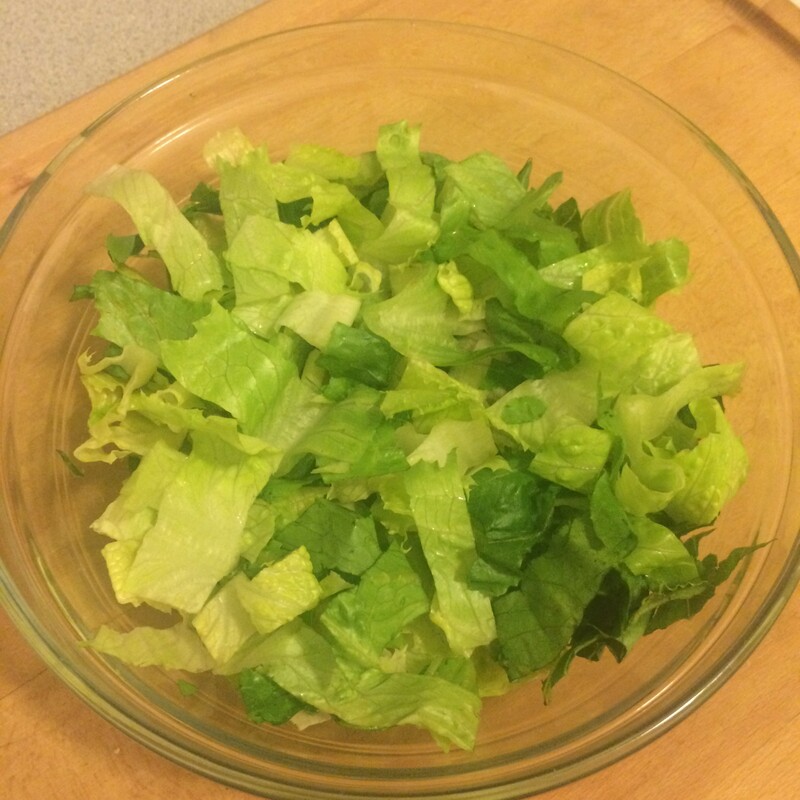 Add chopped lettuce to a large bowl. Alternatively, pick up one of those bags of pre cut, washed, everything romaine lettuce at the grocery store. Sometimes it costs the same as a head of lettuce, and you know that it will always be fresh. Using a vegetable peeler, peel long strips of parmesan cheese from your block. If you do not have a block of parmesan cheese, use about 1/4 cup of shredded parmesan. Be sure to buy the REAL parmesan cheese, and not the crappy powdered stuff you can buy in the middle aisle. 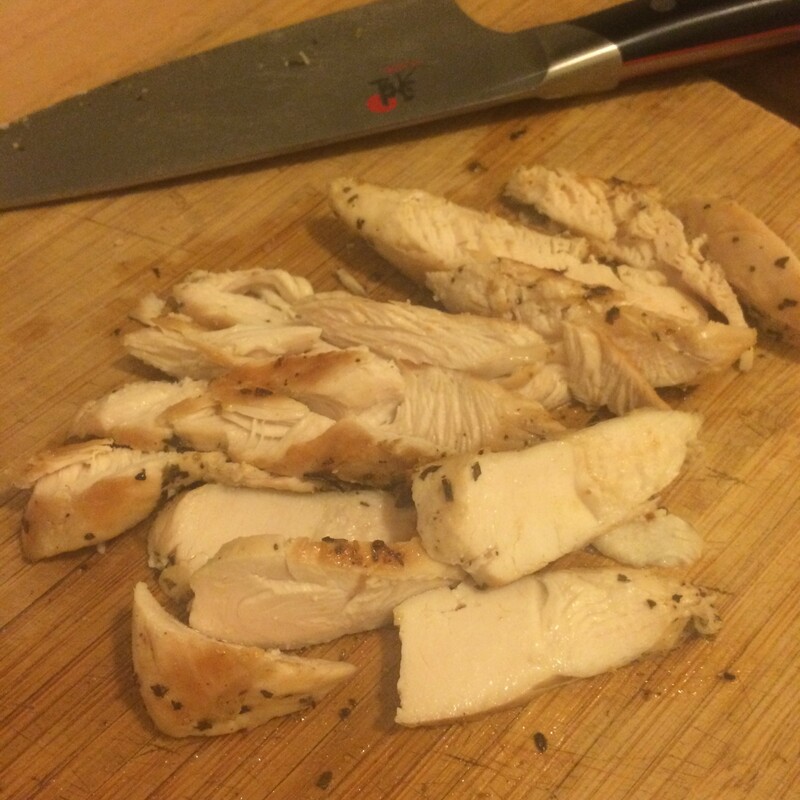 Using a sharp knife, slice cooled chicken on a bias into thin strips. 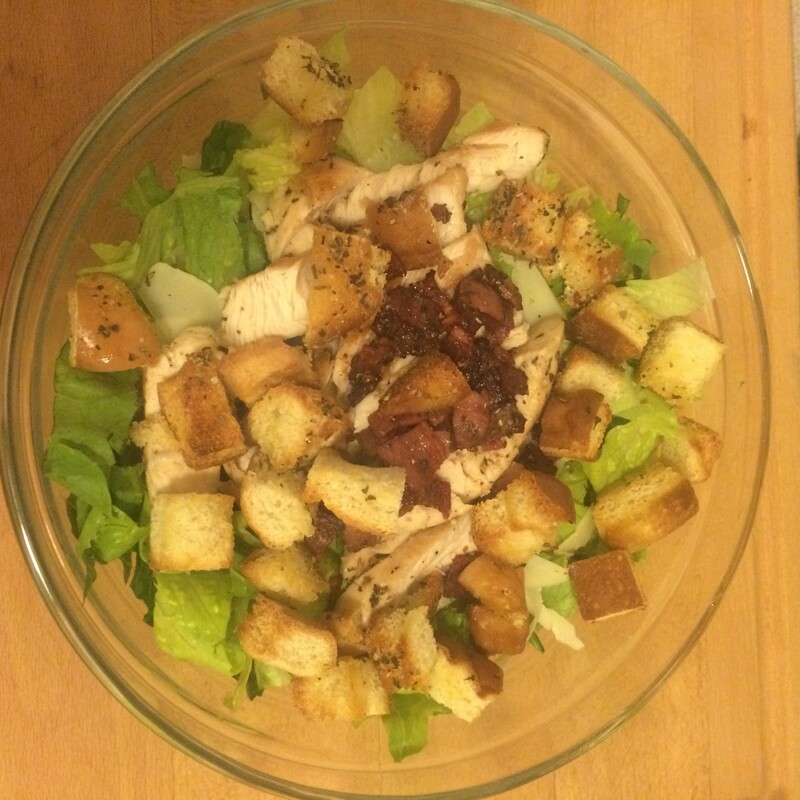 Add chicken, shaved parmesan, cooked bacon and croutons to the bowl with romaine lettuce and toss together to combine. **If you want to save some of this for another meal, remove from the bowl now, and put in a ziplock bag or tupperware container for another day. 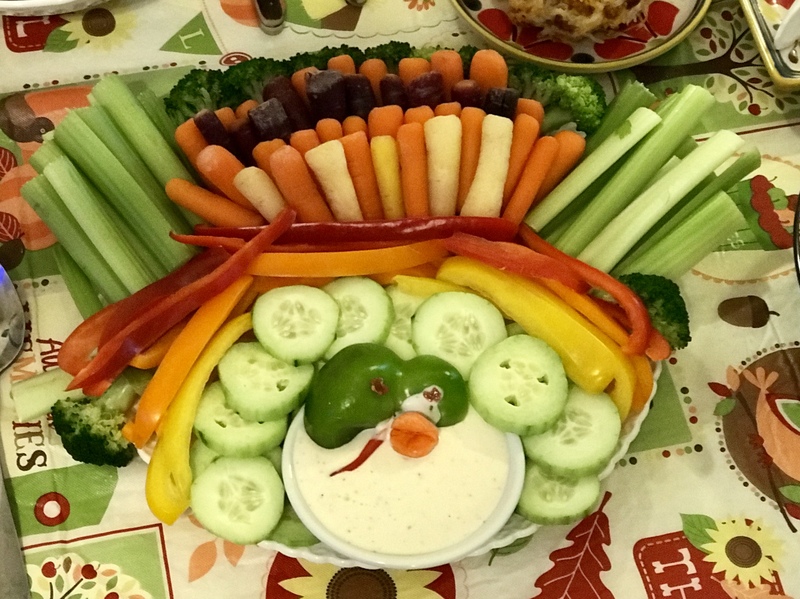 Toss with dressing when ready to eat. Add desired amount of salad dressing to salad, and toss again. I used about 1 1/4 cups for this large salad. Serve immediately with extra shaved parmesan cheese and fresh cracked black pepper, if you desire. Hello! 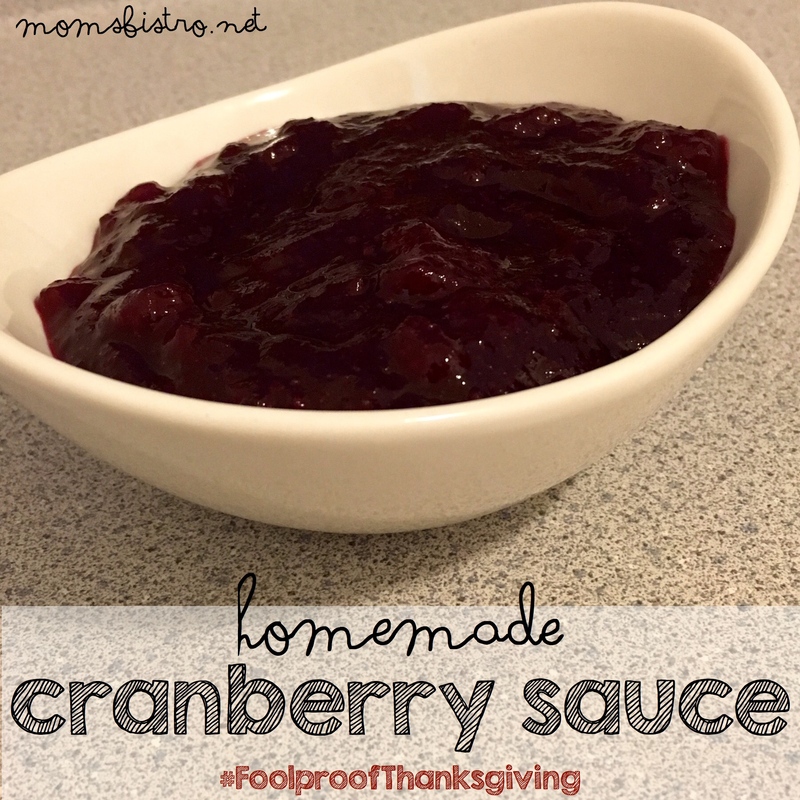 Great site- do you have printable versions of your recipes? Thanks! Thanks so, so much for your kind words! I am slowly working on that! I have been asked from a few people actually. 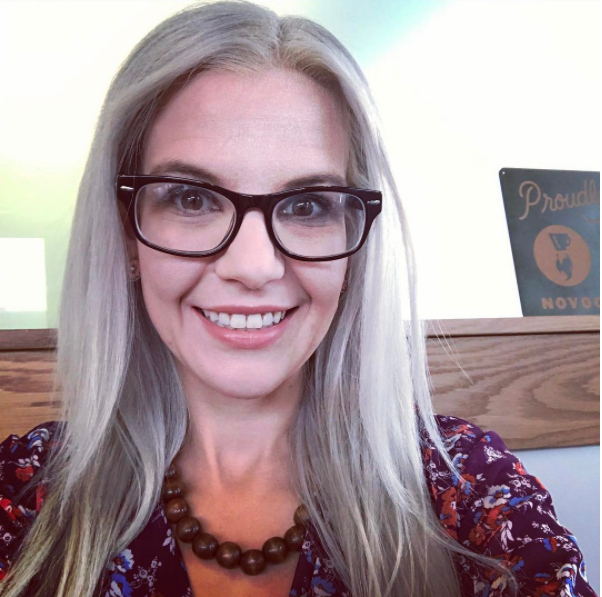 In the past I had printable recipes, but did some redesigning on the website, and lost it all – whooops! I should have the printable versions up around the end of the summer!